Sauvignon Blanc Receives Top Wine of 2013! Exciting news for us! Earlier this week it was announced that our 2011 and 2012 Sauvignon Blanc received the #1 spot for 2013 by the online and Riverside shop, Chris Kern’s Forgotten Grapes! Kern’s shop is a collection of wines from all over the world as he seeks out unknown wine producers with his education and great palate. The top 7 wines were selected out of 300 wines and were based on customer satisfaction and feedback, sales, as well as the approval of the staff. Knowing all that, it is an honor to have our Sauvignon Blanc receive this recognition. Check out more of Kern’s write up here! 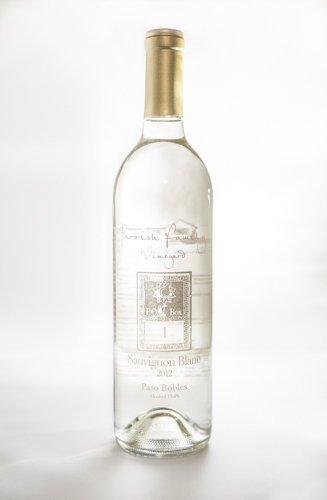 If you would like to try this wine out for yourself, you can purchase it online at www.parrishfamilyvineyard.com and in our Downtown Tasting Room. Shipping will be available between the holidays on December 26th and 27th. Chris Kern also has it available online and in shop. For those in Singapore, contact Mercari to find out where you can try the 2012 Sauvignon Blanc! Thank you to all those who have supported us this year…it really means a lot to our family!